In this first part of the series of tutorials about Softube´s Modular I show you through the process of licensing and installing, explain the basic GUI, patching and the handling of presets and files. 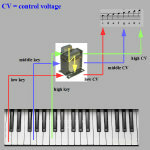 This part 2 deals with basic principles of modular synthesis, explains control voltage, gate signals, trigger pulses, audio signals and MIDI signals and certain aspects of the file management. Tutorial 3 talks about the Doepfer A-110 Voltage Controlled Oscillator, explains all of the unit´s functions and shows typical and untypical applications of the module. “Everything You Always Wanted to Know About ...” LFOs is shown and explained in tutorial 7. The Doepfer A-147 VCLFO Module is a perfect candidate to demonstrate modular techniques, which go far beyond simple “lfo-ing”. Do you like bacon as well as modular synthesis? Well, watch tutorial 8 about the Doepfer A-118 Noise and Random Voltage Module then. Not only will you learn a lot about the implementation of noise, but also about the mental state of Rolf. Some people call it the core competency of modular synthesis, others think it is a redundant part of synthesis with all that computers at hand. I simply love it: Analogue Sequencing! Sequencing anything and everything, producing short fast running patterns embedded in long lasting and huge carpets of sound … Well, just watch tutorial 9. At the beginning of this series about SoloStuff´s “SoloRack” I talk about the installation, about the file management and about basic functions of the GUI like handling modules and saving CPU power. I close part 1 introducing a nice patch. The SA 310 VCO is one of the synths basic oscillators. Basic, but hiding some powerful extras under the hood. This part 3 deals with some general modular concepts as well as with a lot of patching. Further items are Pulse width modulation, hardsync and more. The Doepfer A-132-3 Voltage Controlled Amplifyer is the star in tutorial 4. Very detailed and showing a lot of love for the matter the video delivers a bunch of basic and advanced aspects of the module. The Doepfer A-108 VCF8 Voltage Controlled Filter module guaratees for warm analogue sounds. But you can make the module go bananas as well. Tutorial 5 shows how to achieve both. Tutorial 10 leaves the field of “classic” modular synthesis and is as basic as an elephant is small: not at all. 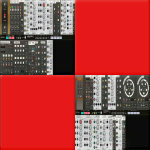 Intellijel´s crazy “Rubicon” module demands for these nearly 3 hours of experiments, explanations and patches. Watch those 3 hours and get a “patcher extraordinaire”. Producing tutorial 12 took me exactly 56 hours and 5 minutes. The Buchla 259e module is probably the most complex wizard of sound delivering the most unpredictable results at the beginning, which I´ve ever had under my fingers – which are still trembling a bit. Watch and get your fingers tremble as well. It´s all about envelopes here in tutorial no. 6. The Doepfer A140 ADSR module comes with some “secret” attributes, which are explained in detail. But even the common functionality of the unit invites to some interesting applications. Saw, supersaw, hypersaw … well, it´s about the S304 and the S302 oscillators. It´s about noise and about Karplus-Strong, about some certain frequency modulation and about a complex patch. Phase shifting, through-zero FM and the year 1984. The module this tutorial 5 in the series talks about is called “S321 Linear and Exponential FM and PM Oscillator”, and it´s as powerful as its name suggests. And so tutorial 5 contains 1 hour and 39 minutes full of experiments, demonstrations and explanations all around FM and PM. 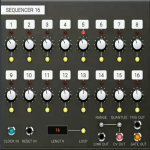 Part 2 is about hidden functions, the different groups of modules, preset management, oversampling, some “cable art”, some tricks to make patching easier and faster and about setting up a famous patch..
Part 13 of the series about Softube´s Modular deals with the module "Clouds" (Mutable Instruments). It is all about granular processing of sound. The video includes an introduction explaining the basics of granular synthesis.